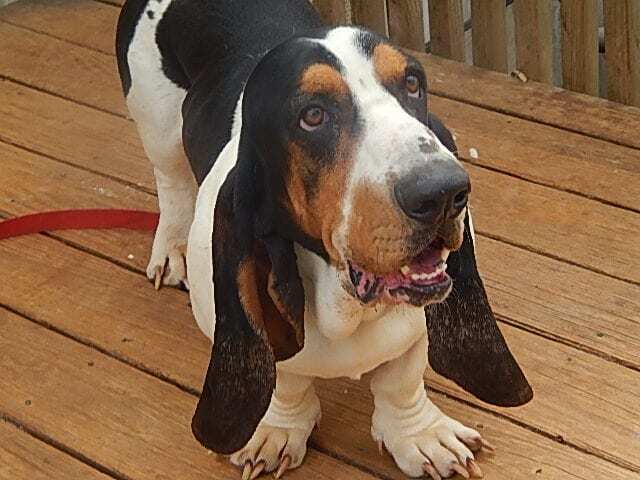 Homer is one of our homegrown 100% European basset hounds. He is a full brother to Boonie and his parents are Ivy and Jozin. He is such an affectionate dog. He just loves to be close to me and loved ! An amazing and so common quality of this breed. 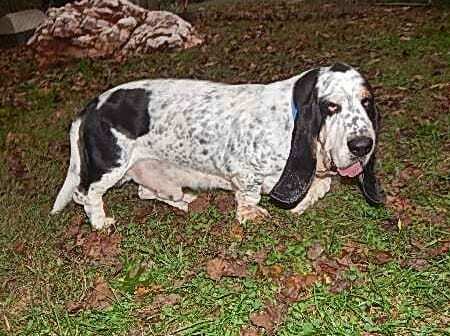 We are so blessed to have Homer in our breeding program and family. Glad you are here Homer !! 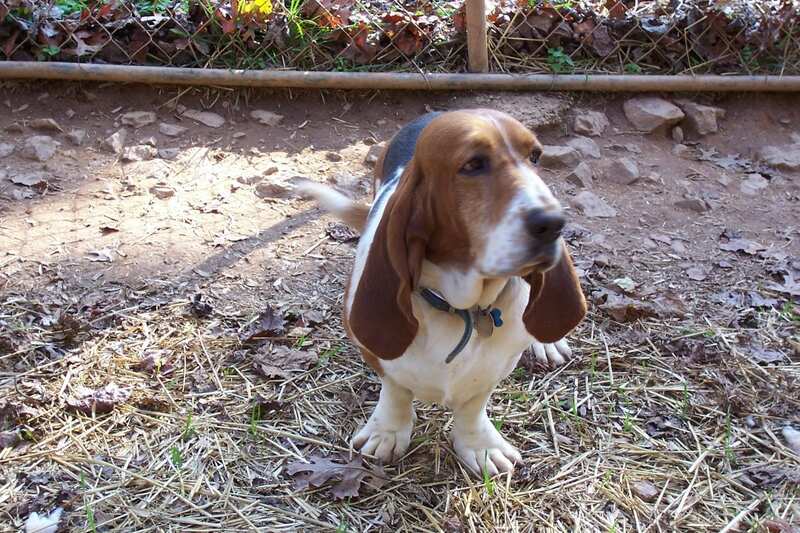 Tuffy is Sandys 100% American boy that came to us from Ohio. He has been a wonderful addition to our family and breeding program. He is like an energizer bunny….always on the move! Only slowing down for food and TLC. He is a wonderful dog and has sired such beautiful puppies with all the qualities that we love. Glad you are here Tuffy! Boonie is one of our home grown 100% Europeans out of our Ivy and Jozin. Full brother to Homer.He is such a big goof and has such a wonderful and loving temperament. We are so blessed to have him in our breeding program and hound family. I owe all the thanks to his human mommie and my dear friend….Pam ,who has graciously allowed us the privilege of making Boonie available to us so we can continue these amazing lines.Love you Boonie ! 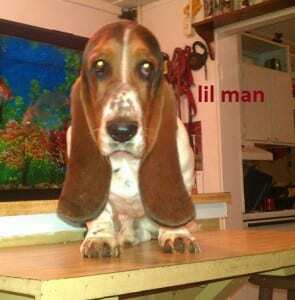 Little man is our home grown american basset hound. 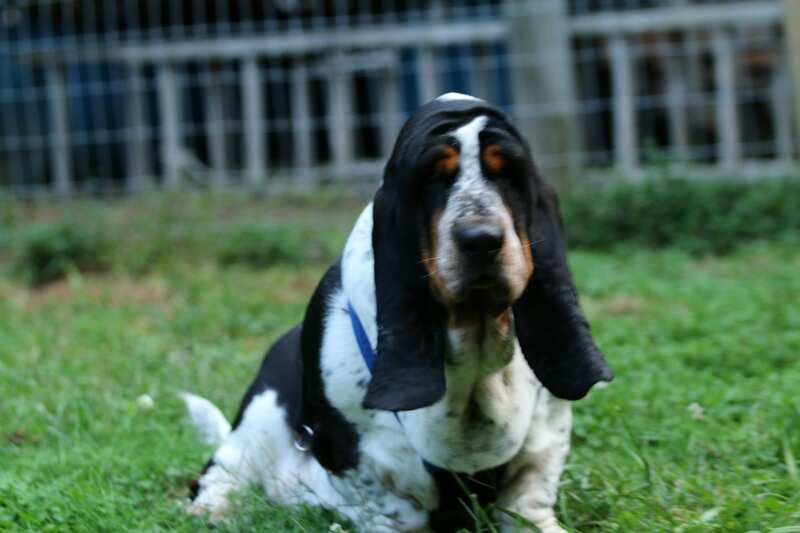 He was born here and has the longest ears of all our dogs. He is quite spoiled and has an excellent temperament. 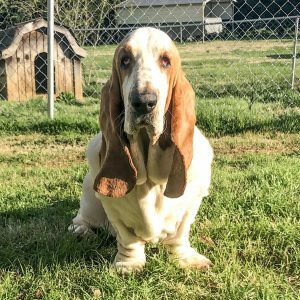 Lil man has produced many gorgeous puppies with all the qualities that we love and look forward to in our basset babies .we are super glad he is here!!! Little Man has retired from our breeding program and is enjoying his life on the couch ! We are thrilled to now have 100% European Jozin Z Polany Klapouchego in our family and our breeding program. 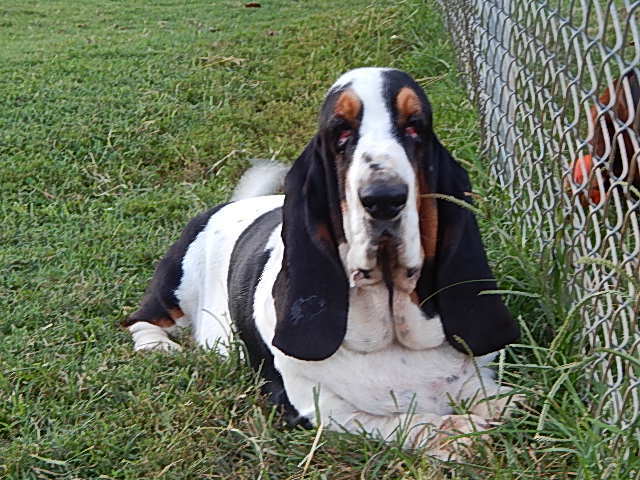 I have loved and admired him for a very long time ….referring to him as like winning “the basset hound lottery”. His gorgeous open white and all that ticking (spots) is to me ,amazing and beautiful. 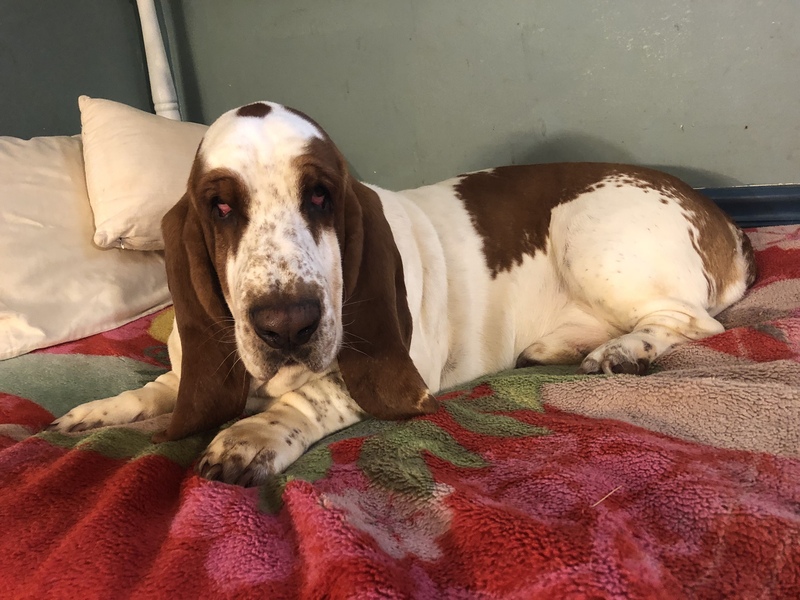 He comes to us from Corkys basset hounds and once again… I am forever grateful to Nancy Corky for allowing us to own this amazing dog. He is as sweet and loving as he is beautiful….and I am truly blessed to have him here with us Jozin is now retired but like all the others that retire…he is still here with us and enjoying life !! 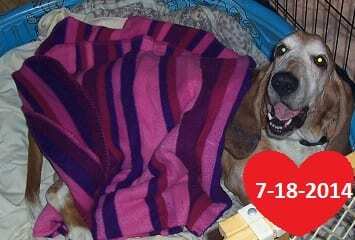 Another basset hound shaped hole in our hearts. Rest in Peace..Roscoe . We love you. 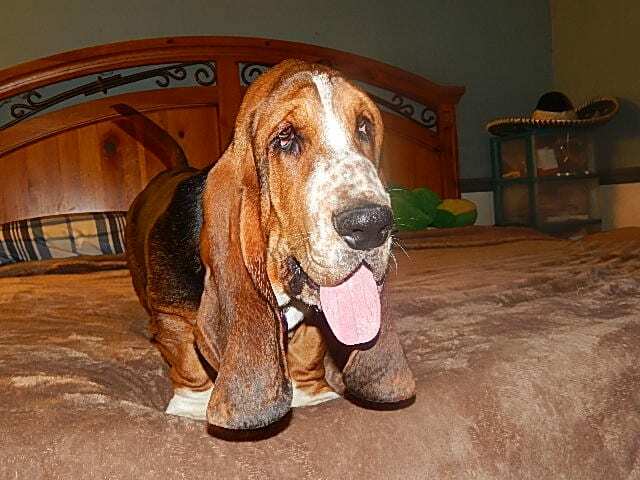 Another basset hound shaped hole in our hearts. Rest in Peace..Macho . We love you.